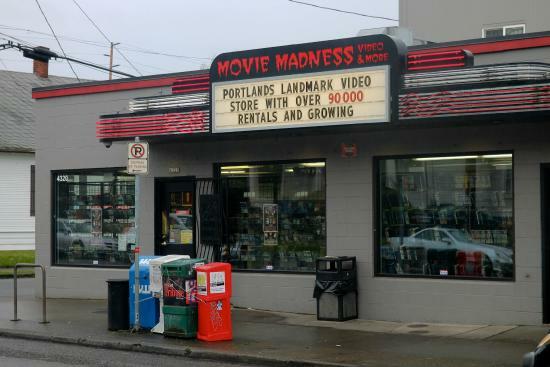 This photo of Movie Madness Video and More is courtesy of TripAdvisor. Quick—what do Cleveland’s Playhouse Square, the Philadelphia Inquirer, and the Green Bay Packers all have in common? Answer: They are all owned by nonprofit corporations. Now Portland, Oregon residents are also organizing to preserve a local institution, a video store named Movie Madness, by having it be run by a nonprofit. In Portland, the effort is being driven by the desire of founder Mike Clark, age 71, to retire. Given the prevalence of streaming services today, it’s no surprise that not many folks want to buy video stores. That said, the store’s collection of an estimated 84,000 titles is far more extensive than the 7,000 or so titles available through streaming on Netflix or Amazon’s 20,000 titles. Clark estimates his collection is worth $500,000, but he has agreed to sell it to the Hollywood Theater, a nonprofit-owned business itself for 20 years, for half that amount. The theater is seeking to raise the money needed through a Kickstarter campaign. It has raised over $160,000 so far. Additionally, the nonprofit has secured a $90,000 grant from the James F. and Marion L. Miller Foundation to provide two years of operating support for the project, contingent on a successful $250,000 Kickstarter raise. There’s talk of adding a screening room, hosting public events, asking people from the local film community to curate sections, having a monthly membership program. There comes the problem that some people don’t even have DVD or VHS players anymore, so we want to have them available for cheap at the store as well. We wish the organizers in Portland well, and hope they achieve the same success as their counterparts have achieved in Seattle. But it is important to underscore that there’s more to this story than preserving video stores, important though that may be. In fact, the nonprofit structure can be a very good strategy for preserving community-based entities in a wide range of sectors. The Green Bay Packers’ nonprofit public benefit corporation structure dates from 1923. It is safe to say that had Green Bay residents not adopted this ownership structure, the team would have long ago moved to a larger market. Instead, nonprofit ownership ensures that the team remains a community asset. Packers revenues last fiscal year totaled $441.4 million. Cleveland’s Playhouse Square Foundation, founded in 1973, operates a theater district. Revenues in 2014 were $77 million, according to its Form 990 filing. The nonprofit has not only been successful in Cleveland, but it helped launch a national trend of reviving historic theater districts. The Philadelphia media nonprofit that operates the Inquirer was founded just last year when H.F. “Gerry” Lenfest donated the paper and related media assets to the Institute for Journalism in New Media. According to the city’s chamber of commerce, the newly nonprofit-owned Philadelphia Media Network has 2,500 employees and revenues that exceed $100 million. The long-term success of nonprofit journalism remains to be seen (although the Poynter Institute’s long ownership of newspapers in the Tampa Bay region illustrates potential staying power), but clearly at least the start of a wave of nonprofit innovation in journalism is highly visible.